When it comes to river travel, nothing has quite the same allure as white water rafting. While we’re the first to admit that we love taking our jet boat out on the water first and foremost, we still love any chance we can get to float a raft down the wild twist and turns of Hells Canyon and the Salmon river. If you’re ready to tackle the wave trains that run throughout the canyon, take a moment to review some of the notes that Killgore Adventures has to offer about this amazing river. Perhaps one of the best-traveled sections of the Salmon River is the Main Salmon River. Stretching more than 80 miles, this portion of the river is often referred to as “the River of No Return.” Despite the seemingly ominous name, this stretch is fairly accessible to rafters of all skill levels. Given the length of this section, many elect to make this a four to six-day long rafting trip. This is doable because of the numerous sandy beaches and pull outs that line the river. This section of the river is classified as Wild and Scenic, meaning it isn’t dammed or diverted in any way and is allowed to flow freely through the many mountains and valleys of the canyon. The rapids throughout this section are typically rated as a class three. This popular portion of the river can be floated if you manage to secure a permit through a lottery system Idaho has in place. If the Main Salmon River sounds like too much of a commitment, you might consider floating the Lower Salmon River instead. Starting around the town of Riggins, the Lower Salmon has rapids that are of moderate difficulty. Whereas the River of No Return is known for its often lush vegetation, this section of Hells Canyon is considerably more arid and open. The banks of the Lower Salmon are lined with sagebrush and long, wild grasses, as opposed to the pine trees and mountains of the Main. Unlike the Main, you can secure a permit to float the Lower Salmon on request. For those looking for a thrill and an intense challenge, the South Fork of the Salmon River is the place to go. This section of the river is wild, twisting, and isolated. 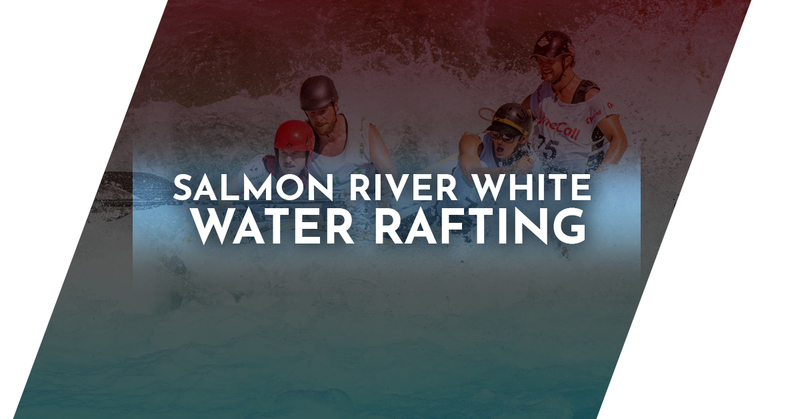 It’s advised that only experienced rafters and kayakers attempt this section of the river, as the rapids are significantly more difficult than previous sections. Additionally, this portion of the river is quite narrow, making it challenging to avoid the numerous boulders and other obstacles that are scattered throughout. For those who successfully navigate this tricky part of the river, you’ll find that it lets out into the middle of the Main Salmon River, offering you an easy way to take out when you’re done rafting. Frequently called the “Disneyland” of Whitewater, the Middle Fork of the Salmon river has a wide variety of rapids and challenges. The river twists and turns its way through Hells Canyon, offering a spread of scenery that is hard to match anywhere else on the river. However, seeing these sights can be hard won, as this section is famous for its difficult rapid sections and unforgiving obstacles. You’ll need to apply for a permit to float this section in February if you want to experience the Middle Fork. If you’re excited by the opportunity to experience the white water rapids of the Salmon River but aren’t ready to take them on by yourself, why not travel with Killgore Adventures instead? We offer white water rafting trips in Idaho that introduce you to the sport and allow you to see some of the most scenic parts of Hells Canyon in a visceral and exciting way. Our six hour-long trips include traveling down famous rapids like Time Zone, Tight Squeeze, Black Rock, Ladder and more. For those looking to make the most of their time in Hells Canyon, ask about our three-to-four-day trips that incorporates overnight camping into your rafting experience. Don’t delay and book today!